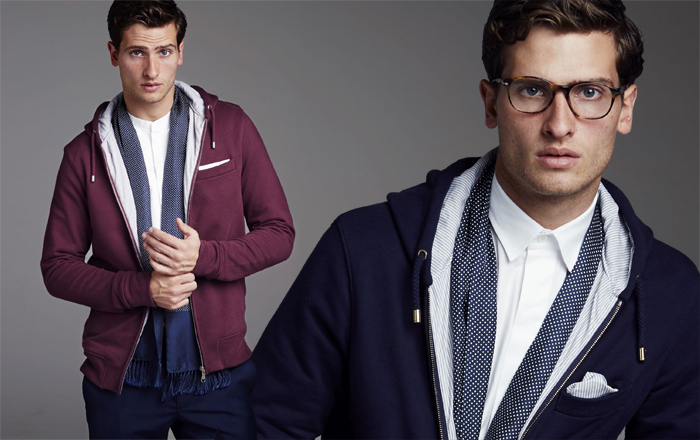 Judging by the buzzing crowd outside 46 Monmouth Street, you wouldn't guess L'Estrange London only launched their now popular hood back in April of this year. The brand had a double reason to celebrate last week. 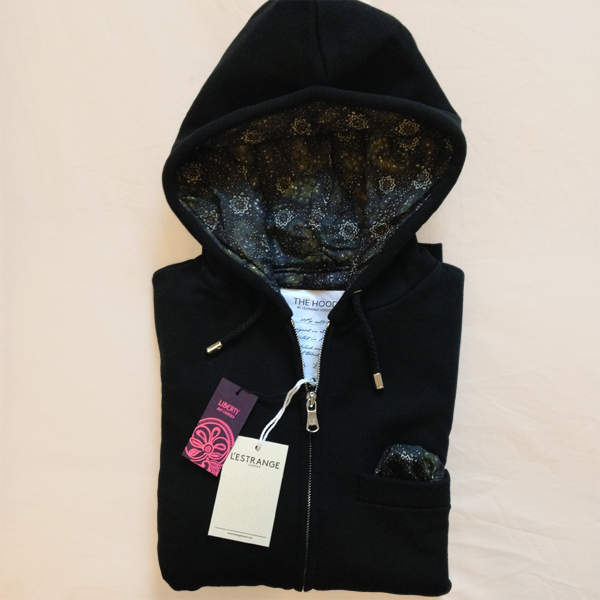 The first was the launch of their latest limited edition Liberty Fabric Hoods, and the second was the opening of their Christmas pop-up shop in Covent Garden. Following the obviously successful first collaboration with Liberty, L'Estrange is now heading for round two with their latest fabric of choice: 'New Year's Eve'. 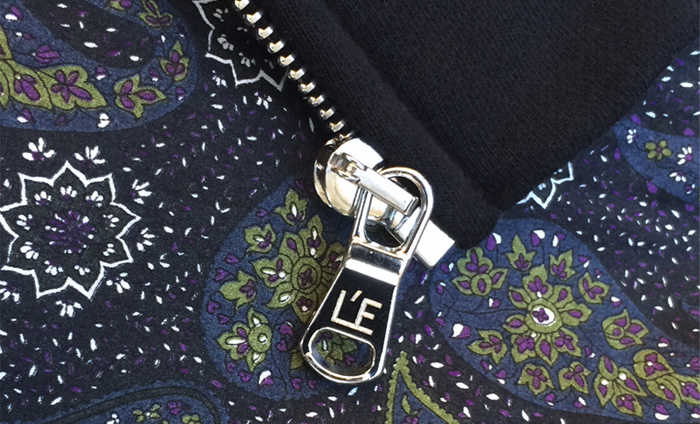 The modern take on Liberty's classic paisley pattern is a perfect match for the black cotton jersey of the Hood, which has been produced in a limited run of 100 pieces to make it even more special. I couldn't possibly resist to become part of such a cool club, so I took home with me one of them. The brand has also released their latest main collection, which continues to play with their streamlined hood silhouette and their four key colours – black, navy, grey and burgundy – in their signature style: the 'Grey Stripe' both with gold and silver hardware. The other new introduction is 'The Paris Print' available in green with a black exterior, navy and burgundy. 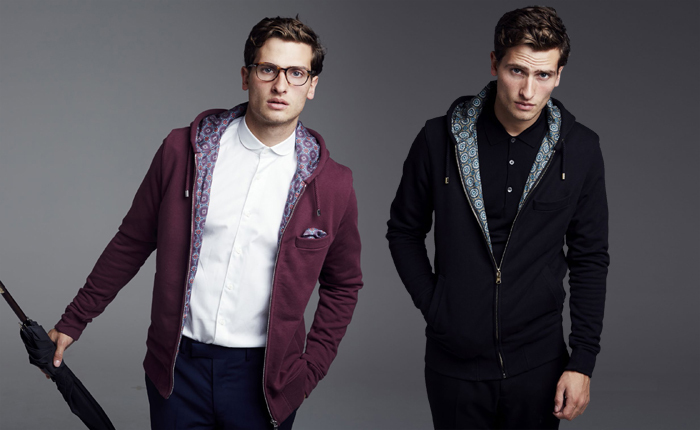 This one, I believe, will be their next big hit – and very likely my next L'Estrange London purchase as well. 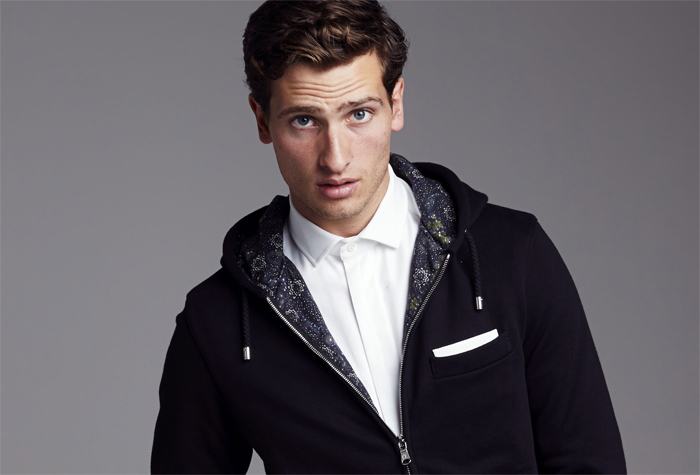 brands like WANT Les Essentiels de La Vie, Oppermann London or Eye Respect.